les anti-modernes*: #askLAM: the best minimalist wallet? #askLAM: the best minimalist wallet? last month, reader Tammy asked for recommendations for a great minimalist wallet. 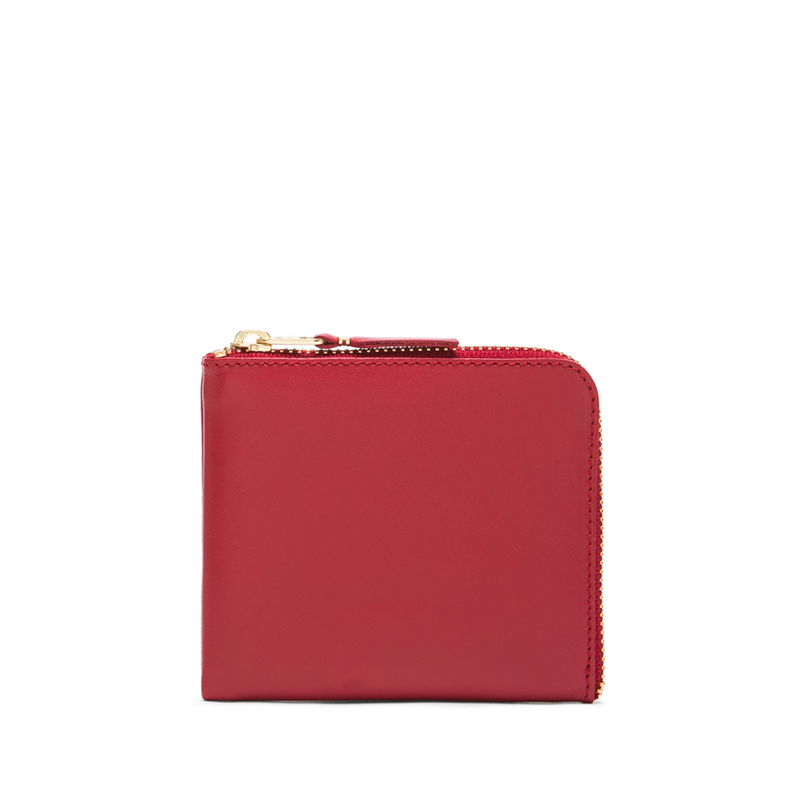 my pick is the classic small zip wallet by Comme des Garcons (more colors here). stylish, functional, and the price is right. i bought the small zip last year after realizing that i needed a compact wallet for errands and special occasions. it holds ID, 2-3 credit cards, cash, and a little change (if you're a bare essentials kind of person, you could definitely just use this as your 'full size'/everyday wallet). it fits perfectly inside a small clutch or handbag, and the slim profile means it doesn't add any extra bulk. longtime readers know that my love of CdG wallets goes way back. one of the first things i ever splurged on was this embossed CdG french wallet in 2007. after 7+ years of almost daily wear and tear, the leather and zipper are still in excellent condition (save for the small leather zipper pull tab that has worn down). what do you think /do you have a CdG wallet? I have a Secrid card holder that I have used as my only everyday wallet for several years now. Pure perfection! I have been using a Muji leather wallet for the last year or so, but when it wears out, I think I will probably pick up a black wallet from CdG. Have heard so many things about their wallets, and that's no small matter, given how quickly most wallets tend to wear out. indeed! the rate at which i was replacing cheap wallets before i got my CdG in 2007 would have paid for it already. i love the fun colors of CdG wallets too - also helps to minimize misplacing my wallet! Do you know if the change would be secured, or would it be a bit loose? My main concern is losing $1-2 coins! Otherwise, a well-made simple wallet like this would be perfect. erica, i don't put a lot of change but just some coins in the middle pocket compartment; it doesn't slide around too much given that there's a half-zip closure. I love the bright colors it comes in so I'd be able to find it in the bottom of my black Clare V. messenger bag. I'm trying to recall where I've seen a "dupe" of this one...Cuyana or Everlane? i think EL has a similar style; but honestly IMO the original CdG is still the best and so, so worth it (and not much more expensive!). That's really cute! I downsized my wallet about a year ago with a Dogon coin purse that has slots for credit card as well. The leather has softened so it gives a little which is perfect. It's orange which means I can easily spot it inside my bag even though it's tiny - I really hate rummaging and fumbling around. I was on the hunt for a low-profile wallet last year and consistently found that men's wallets more closely met my needs. 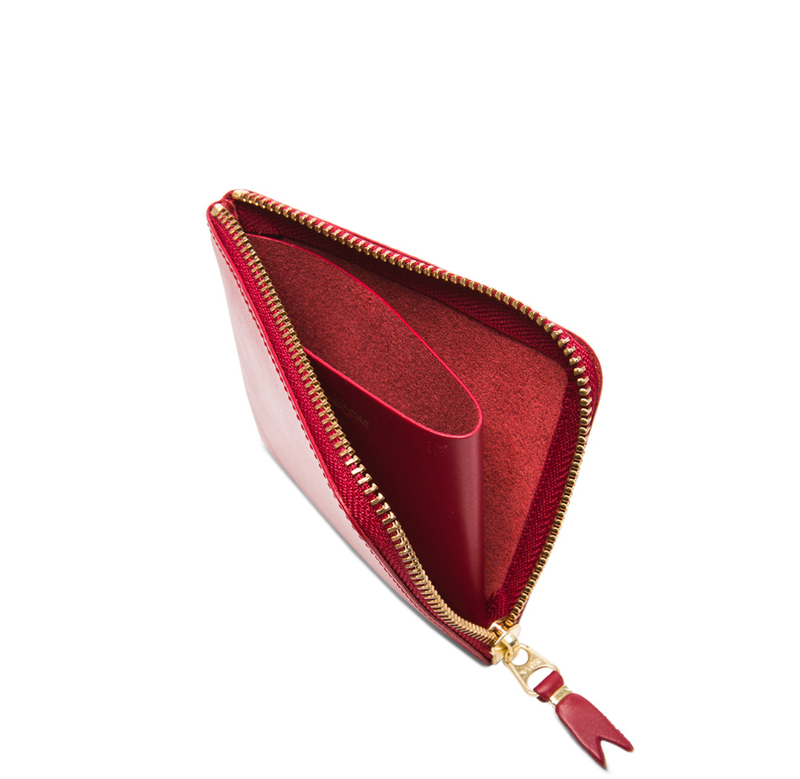 I found a nice wallet from J.Crew (no longer available) that somehow only cost $14, marked down from just under 100.